The EU will buy more American soybeans and LNG while U.S. steel tariffs may be resolved. The two also want to cut barriers in services and harmonize rules. Such issues featured with the last White House. Revisiting them in a new guise offers hope but auto levies may still loom. U.S. President Donald Trump meets with European Commission President Jean-Claude Juncker in the Oval Office of the White House in Washington, U.S., July 25, 2018. U.S. President Donald Trump and European Commission President Jean-Claude Juncker on July 25 agreed to kick off talks that could eventually remove U.S. tariffs on steel and aluminum imports from the European Union. The EU will also buy more American soybeans and liquefied natural gas. Trump said the two parties would also work toward eliminating tariffs and subsidies for non-auto industrial goods and reduce trade barriers in services, pharmaceuticals and medical products. The talks will include harmonizing standards, reducing bureaucratic obstacles and cutting costs. Many of these topics were covered in negotiations over the Transatlantic Trade and Investment Partnership, known as TTIP, between the EU and former President Barack Obama’s administration. 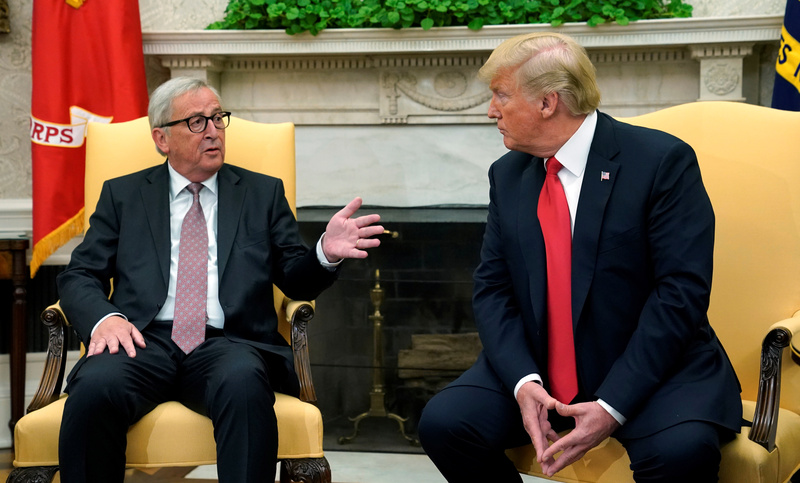 Juncker said both sides would hold off on additional tariffs while the negotiations occurred but didn’t specifically address the proposed U.S. tariffs on imports of autos and auto parts. Trump tweeted on July 24 that the United States and the EU should drop all trade barriers, including tariffs and subsidies. “That would finally be called Free Market and Fair Trade!” he said. “Hope they do it, we are ready -- but they won't!"